New York City, August 14, 2013—PEN American Center, the largest branch of the world’s leading literary and human rights organization, announced today the winners and runners-up of the 2013 PEN Literary Awards, the most comprehensive literary awards program in the country. Among the awards is the PEN/E.O. Wilson Literary Science Writing Award, which celebrates writing that exemplifies literary excellence on the subject of physical and biological sciences. The winner receives a cash award of $10,000 and will be honored at the PEN Literary Awards. In 2006, the theoretical physicist Leonard Mlodinow set out to learn all he could about the unconscious mind. His guide and mentor was Cal Tech professor of cognitive and behavioral biology Christof Koch. “Subliminal” is the result of his five-year immersion in the field. Mlodinow brings to the search intelligence, diligence, a broad cultural knowledge and an indefatigable and irresistible curiosity. In “Subliminal,” he shows the myriad ways nature, under the surface, complements conscious perception, memory, attention, learning, and judgment. He shows how the invention of the fMRI has allowed us to turn our understanding of these invisible influences from a hunch to a science. Mlodinow weaves a lively and often poignant personal narrative through his explication of recent research. Neuroscience through the eyes of a theoretical physicist: the result is provocative, entertaining, and compulsively readable. In “The Forest Unseen,” biologist David George Haskell surveys a tiny kingdom, a mere square meter of land in Tennessee’s Cumberland National Forest. Yet, as he demonstrates in lyrical and intricate detail, within the borders of this miniature landscape, we can find the unfolding story of life on Earth. Haskell tends his kingdom through the shifting seasons of a year, focusing not on the showy megafauna but on the small and fundamental forest dwellers, from glimmering lichen to slow-moving slugs. He writes with a scientist’s meticulous attention to detail and a poet’s way with words. As he spins his tales of the tiny and the ordinary, we see the big picture issues, from evolution to climate change, unfold in the everyday world. The PEN/E.O. Wilson Literary Science Writing Award was founded by scientist and author Dr. Edward O. Wilson, activist and actor Harrison Ford, and the E.O. Wilson Biodiversity Foundation. Award winners and runners-up will be honored at the 2013 PEN Literary Awards Ceremony on Monday, October 21, 2013, at CUNY Graduate Center’s Proshansky Auditorium in New York City. Read the full list of the 2013 PEN Literary Award winners on the PEN American Center’s website. 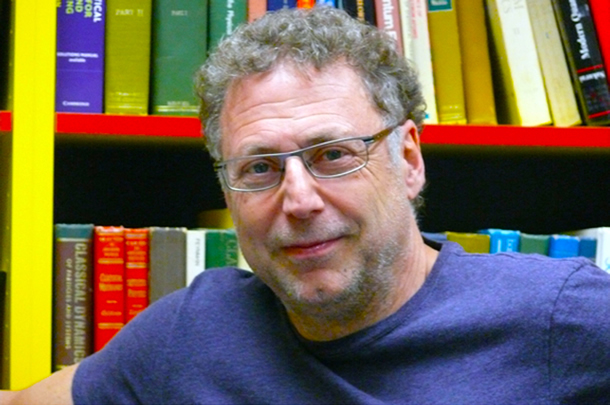 Author photograph of Leonard Mlodinow © Heather Mlodinow.